Inconspicuous “Tube” style of earpiece that fits into the ear for clear sound. 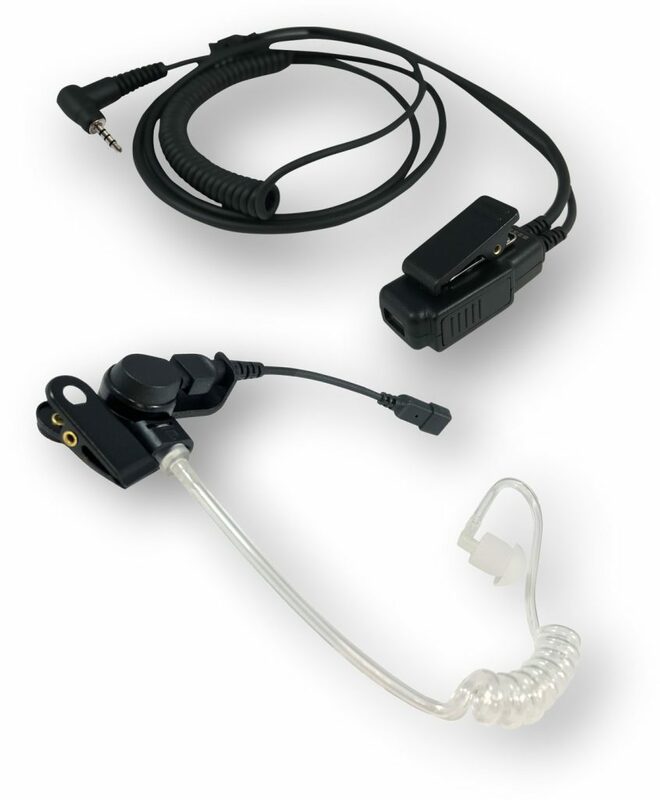 The SN-ULTRA-EPMT is a Kit that includes: the SN-ULTRA-EPET inconspicuous "Tube" style of earpiece that fits into the ear for clear sound, as well as the SN-ULTRA-EPM microphone that plugs into the handset and is designed to clip onto clothing to remain secure for good voice transmission. Modular headset microphone and earpiece for use with the DuraFon 1X, DuraWalkie 1X, DuraFon PRO, DuraWalkie, DuraFon SIP, FreeStyl 1 and FreeStyl 2 handsets. Headset will not fit the DuraFon UHF handset.